How to: Prepare an 18cm square tin by lining with grease proof paper. Put the condensed milk, butter and chocolate into a pan and heat gently, stirring often, until everything is blended and smooth. Remove from the heat and add the icing sugar, stirring all together until thoroughly combined. Pour the fudge into the tin and smooth over the top. Press the topping into the fudge and chill in the fridge for at least an hour (2 hours is better) until firm. 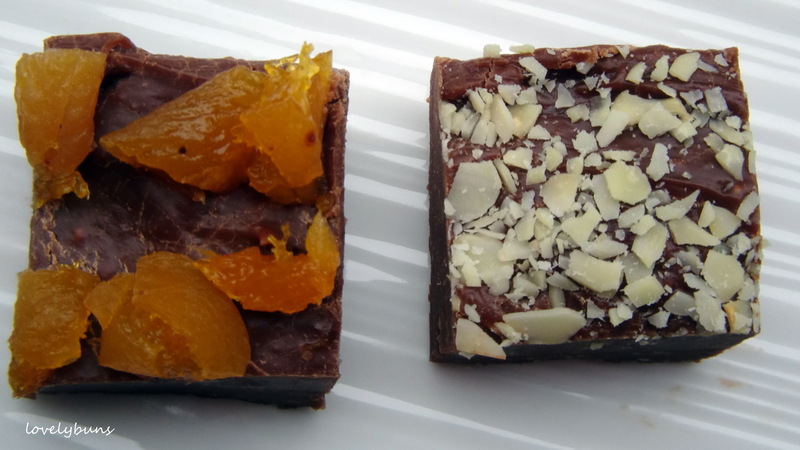 Cut into squares and enjoy or wrap and give away to chocolate fiends! This fudge is best kept in the fridge where it will remain firm and delicious! Looks perfect for taking as a gift for friends. Yummy! Yes, quick and easy too! I’m not much of a chocolate person, but these I’m not going to pass. I’ll take your wordthat they are easy to make. Yum! Happy Easter Candy! it is, give it a go, it’s very very easy! It’s funny — I never used to like fudge and had no desire to make it, but now that I’ve read your post, I really want to make it and eat it! 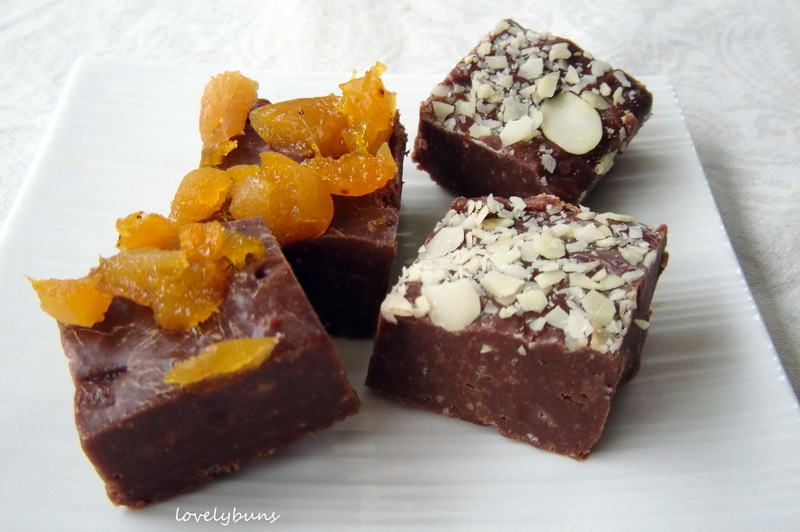 Your fudge is beautiful and wonderfully simple to make — thank you for sharing. And I love the idea of apricots on top! 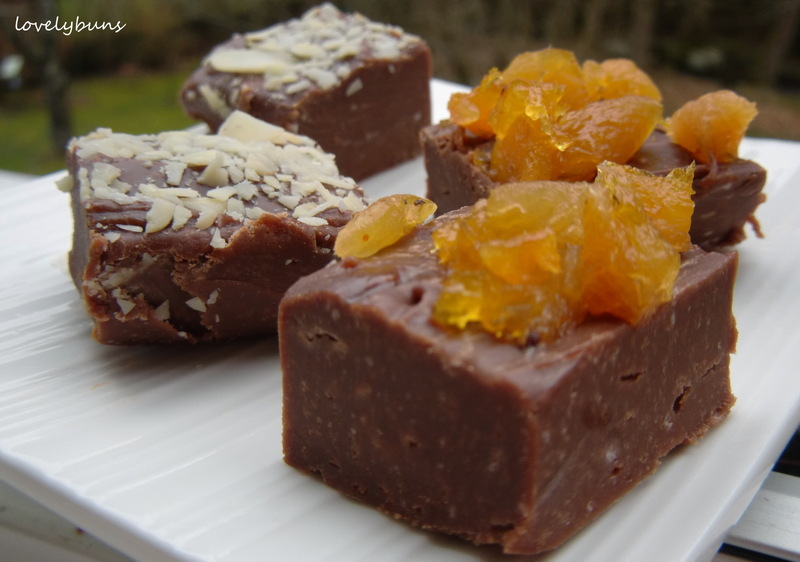 Ooh yum your easy chocolate fudge looks amazing! I recently made vegan condensed coconut milk & will use that recipe in here! 🙂 MMMMM! ooh that would be nice!